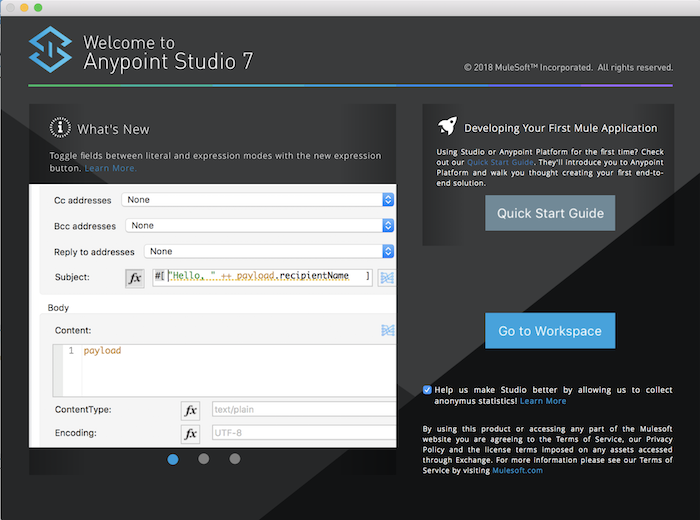 Anypoint Studio is an IDE for developing Mule ESB applications. In this tutorial, we will learn together how to install it! 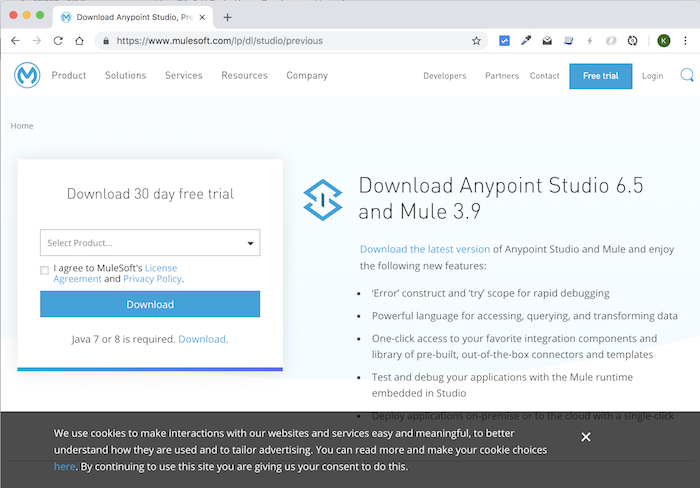 First, let’s go to this site to download Anypoint Studio: https://www.mulesoft.com/lp/dl/studio. 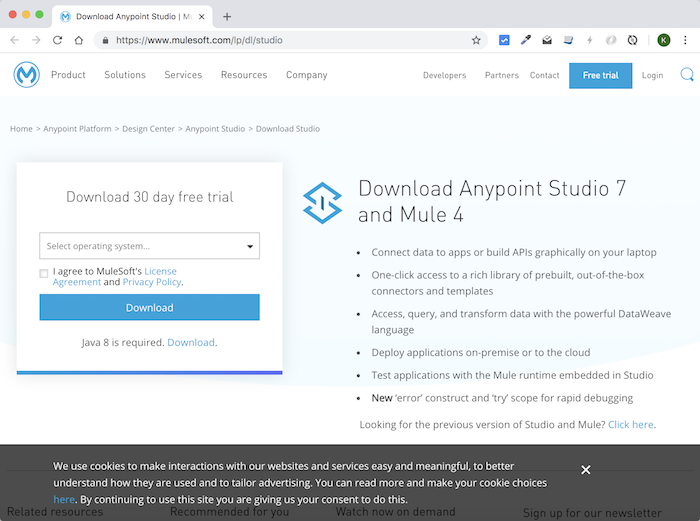 Currently, Mule ESB has two versions, 3.x and 4.x, respectively, Anypoint Studio has also two versions: version 6.x for Mule 3.x and version 7.x for Mule 4.x. Depending on your purpose, let’s download the version accordingly. If you want to download an older version 6.x then look for “Looking for the previous version of Studio and Mule? Click here” in this window, then click Click here. At this point, it will display the page that allows us to download version 6.x. In the “Select Product …” box, select “Mule 3.9 and Studio 6.5” and do the same steps as downloading version 7.x. After downloading, depending on the operating system, please unzip (on Windows or Linux) or install (on macOS) this download file, then launch Anypoint Studio.